Celebrate the cutest or spookiest costume at your next Halloween party with our Halloween Costume Contest Medal! 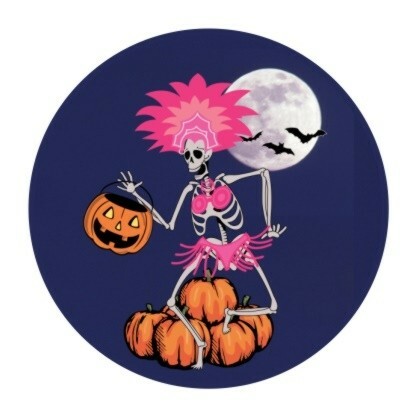 Our costume contest medallions feature a dancing skeleton ready to trick-or-treat on the night of October 31st! 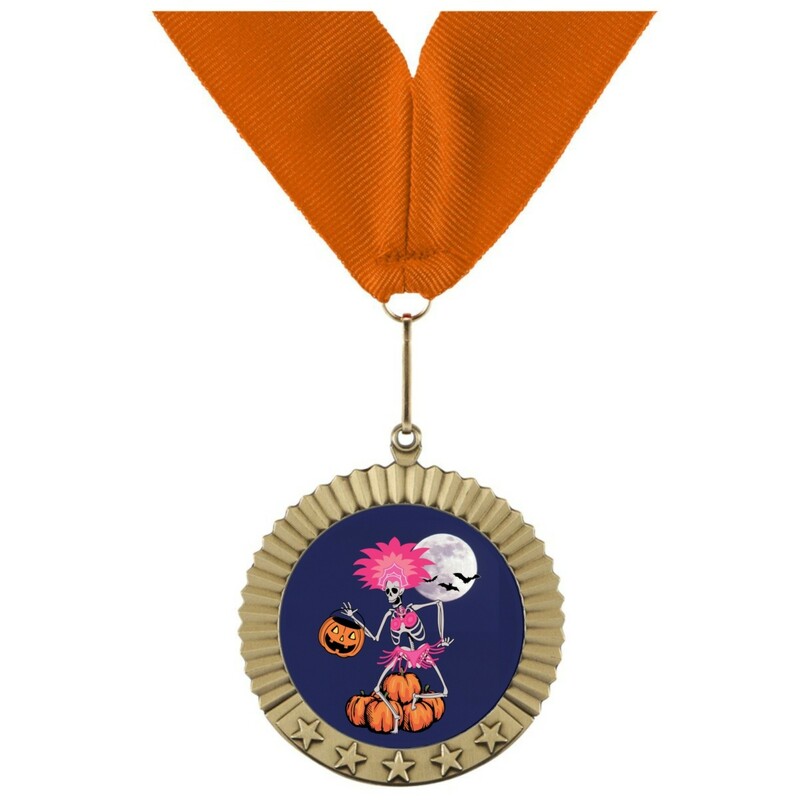 At 2.75" wide, these festive Halloween medals come in your choice of gold, silver or bronze, with 3 lines of FREE engraving on the back! Our darling Halloween medallions also include a neck drape color in your choice of orange, black, or orange/black-combo.